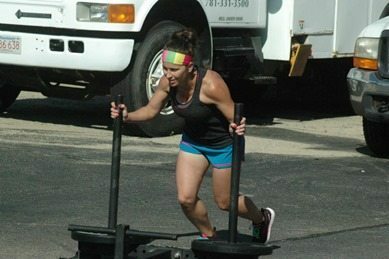 Now that Quinn is here, my workouts have changed quite a bit. 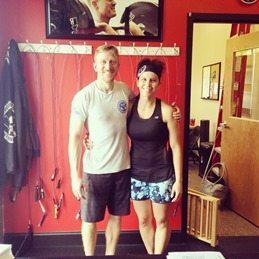 My time is more limited, and I no longer have the freedom to pop into a spinning or CrossFit class whenever I want, but I haven’t let my workouts go by the wayside either. 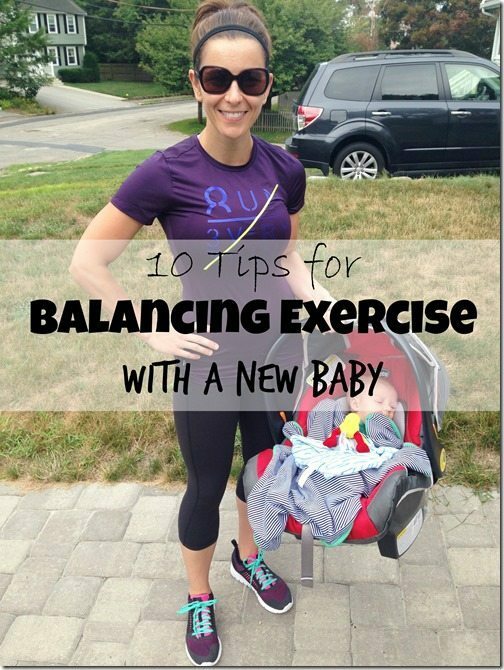 I truly believe if there’s a will, there’s a way when it comes to balancing exercise with a new baby. That said, here are 10 things, many of which apply to kids too, not just little ones, that help me stick to a regular workout routine! On the days that I plan to exercise, I change into my workout clothes (sneakers too!) as soon as I wake up, even before I eat breakfast. Getting dressed is sometimes half the battle for me, so once I am wearing my exercise gear, I am committing to a workout for a day. I mean, I made the effort to put them on, so I might as well get moving, right? Also, wearing my workout clothes puts me in the right mindset to just move more overall. 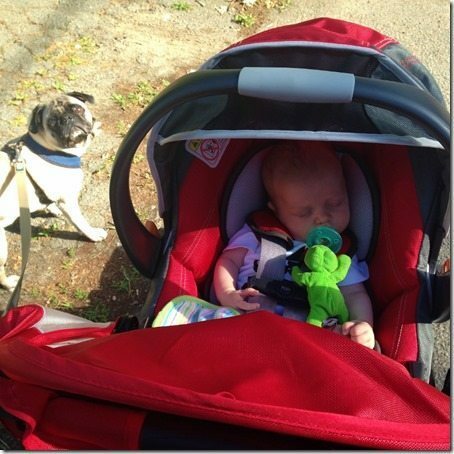 Quinn and I use our jogging stroller just about every day, some days we run or do a stroller WOD, but, most days, we just walk. 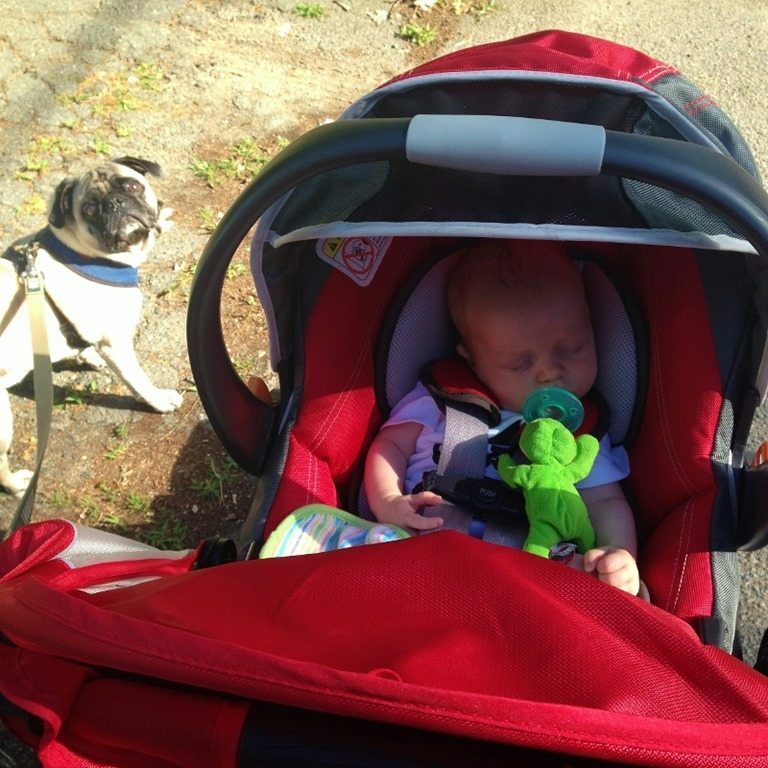 It’s great for him because he loves the fresh air and it relaxes him (he often falls asleep in the stroller). And it’s great for me too because I fit in some exercise and ‘me’ time. I typically listen to podcasts (some of my favorites) and just enjoy my surroundings. Quinn and I also take a weekly stroller bootcamp class together, and I’m looking into Mommy and Me-type classes, so we can do yoga or swim together. Exercising with my little guy is the perfect way to spend some quality time together and get in my workout for the day! 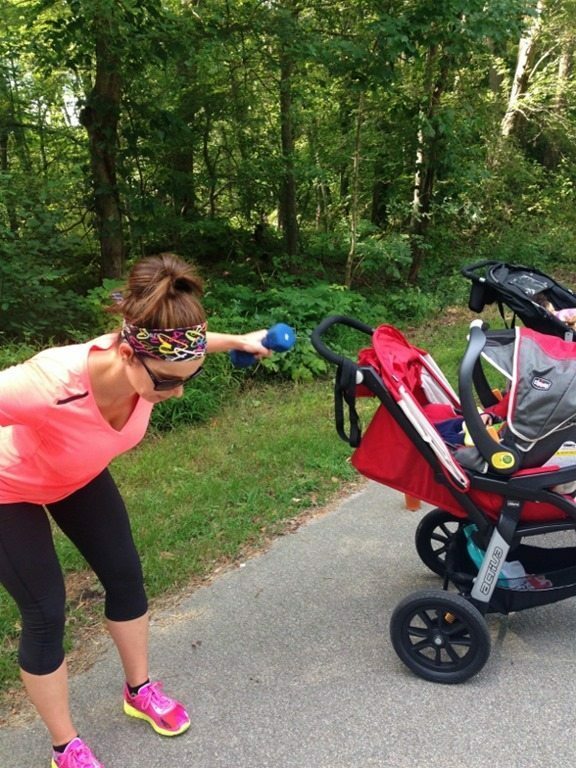 Even better than working out with your baby is making exercise a family affair! Mal and I take Quinn and Murphy for “family walks” around the neighborhood a few times a week. We also take trips to the dog park and hike in the woods together. It’s a great way to spend some quality time together and we all get a little exercise into our day. When Mal went back to school, I didn’t want to get in the habit of sitting around all day in my PJs and not leaving the house, so I started to plan a GO time with Quinn every morning. Mal typically leaves the house around 7:00 AM, so I got Q and I ready to leave for our workout then too. Now that it’s a bit colder in the morning, we usually wait until 9:00 or so until it warms up a little. Sticking to this time gives our day a little structure and we get in our workout first thing in the morning. 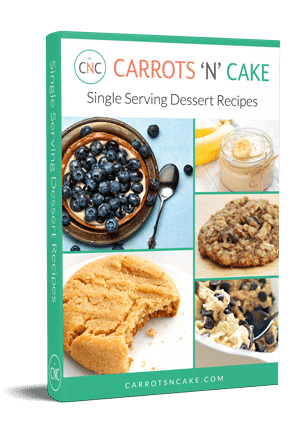 Plus, it sets the tone for the day – from making healthy food choices to accomplishing tasks/chores around the house – because we are already in motion for the day. When the weather gets cold and snow covers the sidewalks, Quinn and I won’t be able to run/walk outside as much, so I’m thinking about joining a gym with childcare, so I can run on the treadmill or take a class. I will also work out in our home gym, but it’ll be nice to mix things up with a gym membership and, most importantly, get out of the house! Wearing my workout clothes all day long encourages me to move more by adding little bouts of exercise into my day. Some favorites include: Taking Q and Murphy for a walk, doing a set of push-ups while playing with Q on the floor, throwing some heavy stuff (a big water bottle, dumbbells) in the bottom of the stroller when we go grocery shopping. These little bursts of activity are easy to do and really add up! I love quickie, high-intensity workouts. (Here are a bunch of my favorites!) They’re efficient, effective, and great way to squeeze in a workout when you have a baby. Most of the workouts are 20 minutes or less, so I can fit them in during nap time. Since I’m already wearing my workout clothes (sneakers included), I am ready to go as soon as Q falls asleep. Also, having a workout already picked out helps me focus and maximize my sweat session, so I’m not wasting precious time. 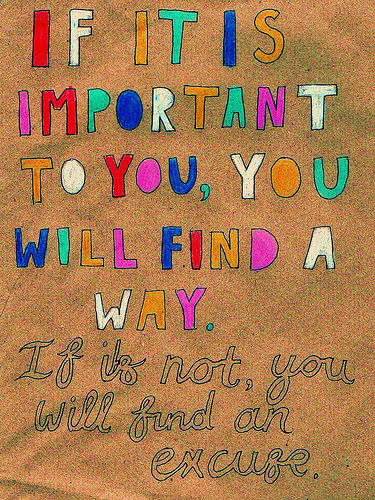 If there’s a will, there’s a way! Fitness is such an important part of my life, I make it a priority in my day. 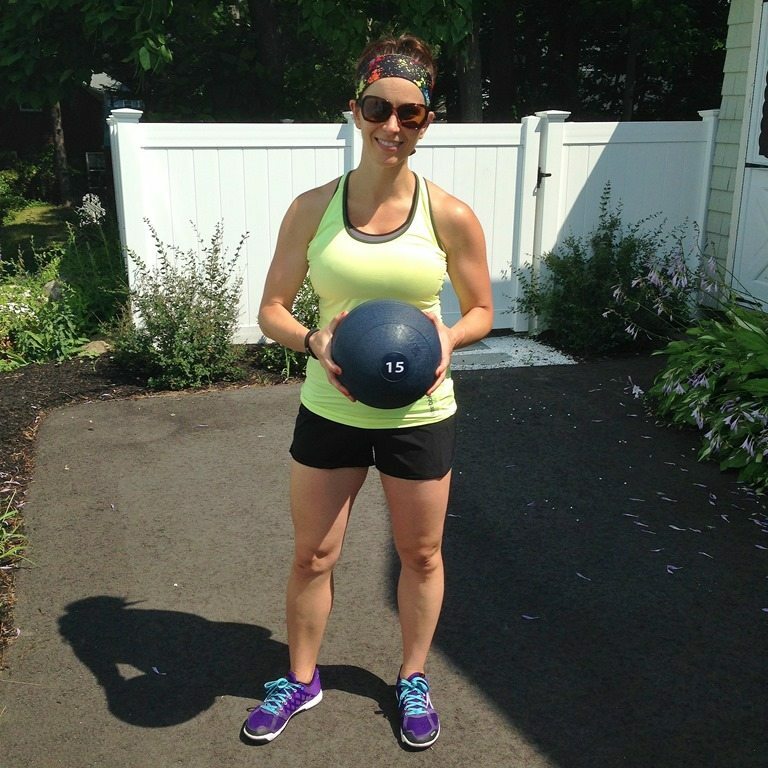 At the beginning of the week, I jot down a workout game plan for the week. For instance: Monday – CrossFit, Tuesday – 3 miles with stroller, Wednesday – CrossFit, etc. It sometimes changes a little bit as the week progresses (things pop up, weather changes, I’m just plain old tired). But, for the most part, I stick to my schedule. This also ensures that I get in my workout no matter what! Looking for some additional motivation, check out this blog post: How to Get Motivated to Exercise During Nap Time! When I’m not feeling especially motivated, reminding myself that getting out of the house and doing some sort of physical activity will give me a boost of energy. Even a quick walk with Quinn around the neighborhood puts me in a better mood! Plus, I feel like once I’m in motion, it’s easier to stay in motion and continue with my workout. Remember even though exercise is important, DIET is even more essential to your progress! I started tracking macros to keep my diet in check and ensure that I was eating a balanced diet. 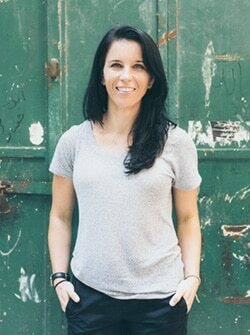 If you’re interested in getting your diet on track, please check out my nutrition coaching options! 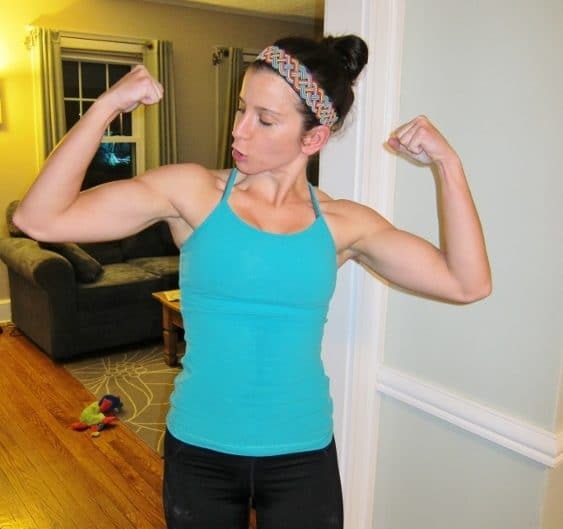 Moms, what are your go-to tips for working out with an infant/kids? awesome, doable tips! i find that going super duper early in the morning while everyone is asleep (we’ve got a 3 yr old and a 4 month old) works best for me. long as i’m back before hubby has to leave for work i’m GOOD. this also means i have to go to bed at a reasonable hour if possible the night before so i can still function though. 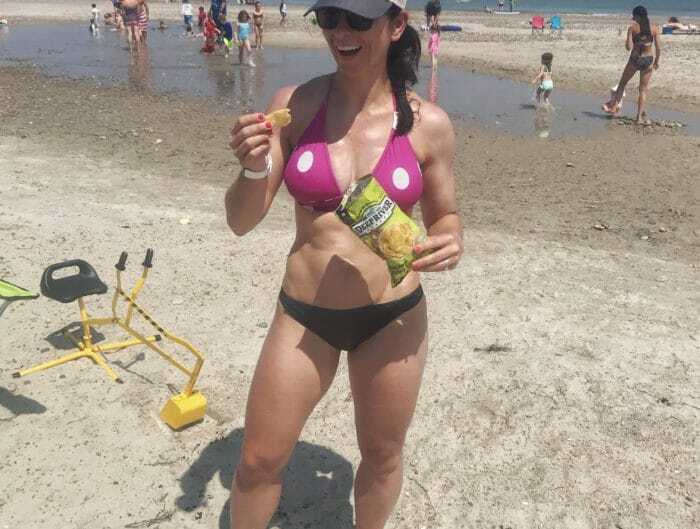 thanks for sharing, Tina! 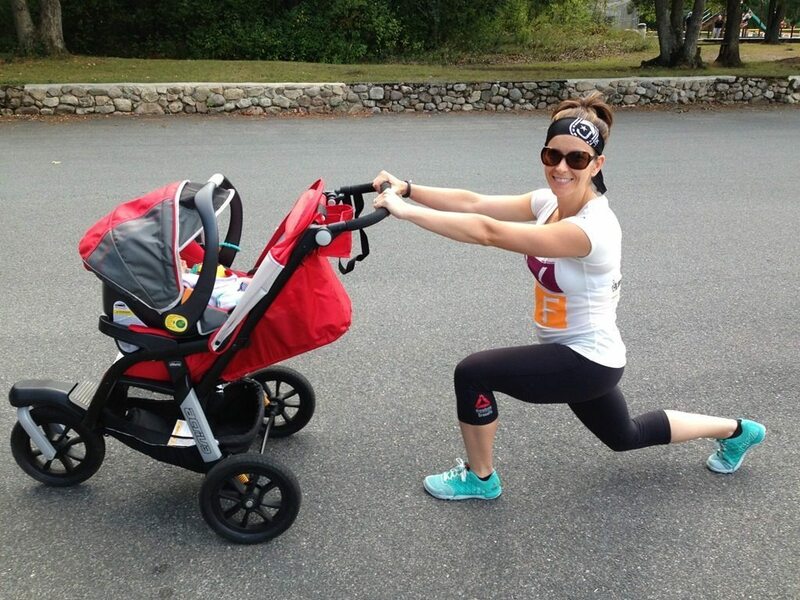 Getting fit after a new baby is a common case for all women. This are some great tips for those new moms out there! Never forget to get well fitted nursing sports bras! There a lot of them online. I realize this was written in 2014 however, I have a comment. For me, it’s been difficult to get started because my younger children at home during the day are 4, 1, and 2 weeks. I have to start and stop. It’s frustrating as you can imagine. Love these tips. Working out is a whole new battle with my first little one and I’m having to adjust. These are some great tips.